Be first to view this rare 1800+ sq. 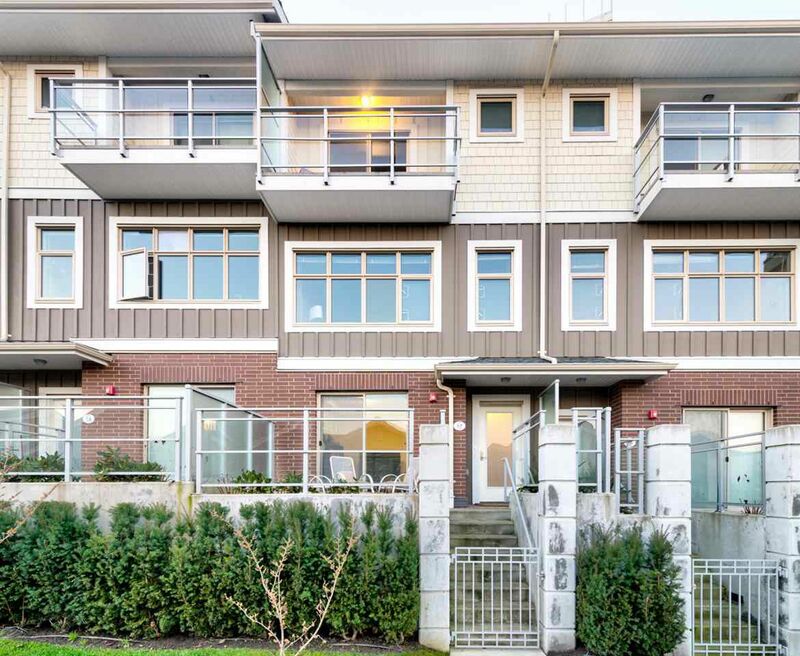 ft. one-year-old town home with spectacular view of the Fraser river and beyond. Wonderful modern European feel to this open main floor plan. Spectacular gourmet kitchen with room to entertain around the 10' Quartz island with breakfast bar and double sink. Higher end Kitchen Aid stainless appliances. Large family room off kitchen opens up onto a great patio. 3 bedrooms, 3 bathrooms, 2 patios and two decks. Parking for two cars plus room for work shop/storage in a super secure 461 sq. ft. double tandem garage. Patio has quick access to the outdoor pool, Jacuzzi & all of the first-class recreation facilities, which include: weight room, yoga studio, theatre room and party room even an outdoor entertaining area with gas BBQ. Open Sat/Sun Dec 9/10 2-4pm.